Arzee the Dwarf was recently shortlisted for the Commonwealth First Book Award. The prize finally went to the Australian writer Glenda Guest for her novel Siddon Rock. Arzee will be out in a paperback edition with a new cover later this year. Some reviews of the novel are here: India Today, Outlook, Tehelka, and Interjunction. An excerpt from Chapter 2 of the book is here. And my second book, an anthology of Indian fiction called India: A Traveler's Literary Companion, is now ready, and will be out in America in June from Whereabouts Press. In a way, the book is an extension of the work of literary appreciation you see here on The Middle Stage, and might be thought of as a short introduction to the diverse pleasures of Indian literature reflective of my own reading and tastes (which is all that any anthologist can bring to his or her book). Each story in the book is set in a different part of the country, and is absorbed not just with character and narrative but also with the depiction of place and landscape. The stories employ a number of narrative modes: not just realist (itself a very broad school) but also fabulist, folkloric, and historical. The streets of the city, the sea, the village pond, the railways, the ancient monument, even the zoo – these are some of the Indian sites and character-worlds of the stories, each given a strong local incarnation. The anthology is divided almost evenly between Indian fiction in English and fiction from the other literatures of India, including translations from seven languages alongside works by Indian writers in English. Although by no means exhaustive (it is a short book, and limited to the same size as the other volumes in the series), it features stories from a timespan of over a hundred years in Indian literature, from the beginning of the twentieth century to the present day. The book has a foreword by Anita Desai, and among the writers in it are Salman Rushdie, Vikram Chandra, Bibhutibhushan Bandhopadhyay, Kunal Basu, Fakir Mohan Senapati, Qurratulain Hyder, Phanishwarnath Renu, Githa Hariharan, Nazir Mansuri and Anjum Hasan. 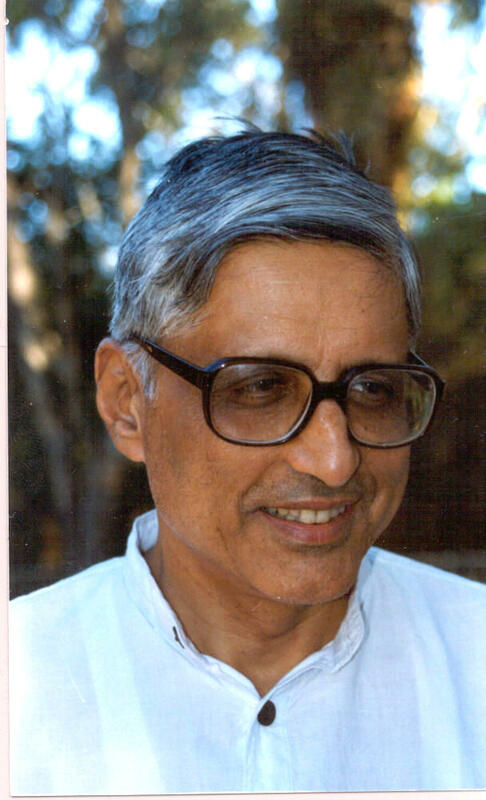 The work of Rajmohan Gandhi, one of India’s premier historians, offers one of the most comprehensive and variegated views generated by any writer of the political landscape and major thought currents of nineteenth- and twentieth-century India. 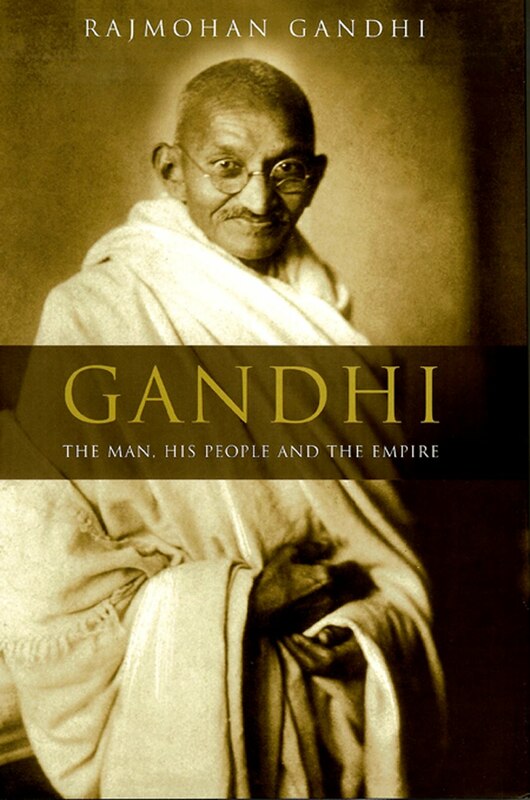 Gandhi is the author of biographies of Mahatma Gandhi, Vallabhbhai Patel, Ghaffar Khan, and C. Rajagopalachari, of a study of the ideas of revenge and forgiveness in South Asian history, and a book on the intellectual world and existential dilemmas of Indian Muslims. Gandhi’s new book, A Tale of Two Revolts, is set both home and away. It is a comparative study of the Indian Mutiny of 1857 (sometimes termed India’s first independence movement) and the American Civil War of the 1860s, in which the southern states attempted to secede from the north over the question of slavery. One of its attractions is that, because of this double perspective, it teems with personalities as widely disparate as Abraham Lincoln and Mangal Pandey, Frederick Douglass and Sayyid Ahmed Khan, Tolstoy and Karl Marx. Gandhi agreed to explore a number of questions over email about the book, about Indian history, and about the art and craft of the historian. Your new book is a comparative study of two outbursts of revolutionary energy in the nineteenth century. By doing so you are able to appraise the strengths and weaknesses of each movement more critically. Could you briefly throw some light on why the Indian Mutiny of 1857 faltered? And do we, because of nationalist passions, assign to it a position of exaggerated importance in our history? Let me point out right away that my intent was to portray or recover the past, not to judge it. I wished to paint the protagonists, not to grade them. True, the process of studying in order to depict did produce “conclusions”, but arriving at findings was not my aim. Before I offer my understanding of why the Revolt of 1857 faltered, let me state that I was intrigued by some of its principal figures, including the Mughal prince Firoz Shah, Lakshmibai of Jhansi, Hazrat Mahal of Lucknow, Kunwar Singh of Bihar, the Maharashtrian Brahmin Tatya Tope, and Khan Bahadur Khan of Bareilly. And I was struck too by the involvement of so many “ordinary” Indians, a very large number of whom were killed, causing immense unrecorded sorrow, while the British, as I show in the book, offered much more vivid personal accounts of their troubles and bereavements. As I see it, the rebellion’s failure was inevitable because, firstly, independence was not the consistent aim of its leaders, and, secondly, these leaders were unable to mobilize the bulk of the Indian people, with whom they did not identify themselves. True, in some areas of northern and central India, especially in Avadh, the masses supported the Revolt for a while, but this support did not last long and did not extend to large parts of the country. Though pride was temporarily stirred in many hearts, the Revolt’s failure, within four months of Bahadurshah Zafar’s restoration as Hindustan’s ruler by the rebels, actually seemed to relieve the common Indian in most parts of the country. The uprising merits an important place in our history. The British were profoundly shaken by it and a great number of Indians lost their lives. But we should also recognize that across the country influential Indians of the time either welcomed the Revolt’s failure or said nothing in its favour. Knowledge of this widespread contemporary disapproval should join our awareness of the Revolt’s significance. Like many of your other books, this one too has a sprawling compass. Although you appear strongly critical of the way the Mutiny was organised, you nevertheless find many other deep currents of resistance and progress in nineteenth-century India – wars, one might say, not of arms but of ideas. Please tell us a little more about the structure of the book and about the relative weight given to its many protagonists like Ishwar Chandra Vidyasagar, Allan Octavian Hume, and Mahatma Phule, some of whom are quite distant from the main action. These three, and two others I followed, Sayyid Ahmed Khan and Bankimchandra Chatterjee, were contemporaries of the Revolt’s leaders. Two of them, Khan and Hume, dealt directly with the Revolt. All five were gifted intellectuals from very different backgrounds. I wanted to discover their reaction to the Revolt. Also, by following their lives, which extended to the end of the 19th century, I wanted to see how the India of 1857 evolved into an India closer to our times. So my retelling of the Revolt and the American Civil War is accompanied by a look at the lives of these five, plus some others. In their different ways, these five activated India’s social or national or intellectual conscience in the 19th century. Vidyasagar and Phule brought to daylight the harshness with which widows of all castes and all persons belonging to “low” castes and “untouchables” were being treated. Hume, whose fame as a scholar of India’s birds is little known to those aware of him as a founder of the Indian National Congress, toiled successfully to bring an all-India outlook at least to elite groups across the land. I found that the decades-long battles for equality, compassion, knowledge and an all-India feeling in which some of these individuals (and others of their ilk) were engaged were not less stirring than the Revolt’s struggle against alien rule. Then I felt I could not ignore Tolstoy or Karl Marx, each of whom followed from distant perches the 1857 Revolt and the American Civil War as well. Writing from London for the New York Tribune, Marx provided almost the only counter to the American media’s uniform depiction of the Indian Revolt as an eruption of oriental barbarism [See here his articles "The British Rule In India" and "The Future Results of British Rule in India"]. As for Tolstoy, despite his aristocratic birth he stood for equality; despite his love of guns and hunting he hated war; despite the imperial thrust of the Russia of his time he honoured Asia and its truths. What a story it would have been had the India of 1857 possessed, either on the British or the Indian side, a person like Tolstoy. Or one like Abraham Lincoln, who knew to struggle but also to reconcile, whose political compass was always joined by a moral compass, and whose soul (like that of the much younger Tolstoy) wanted to wring meanings deeper than “victory” or “defeat” from great bloodshed. Finally, there is William Howard Russell, the Irishman who as the correspondent of the Times of London covered both Revolts and provided word portraits of individuals, scenes and battles that are as rich, revealing and riveting as what a movie camera, had one existed at the time, might have captured. How do you think about the work of the historian? To make the past present, through a rich and complex depiction of it? To pressure the present into accommodating difficult truths and realities it would rather ignore? To function as a counterweight to the simplifications of politics, ideology, and popular culture? These are useful ways of thinking about a historian’s task. But more often than not, think, it is through accident or good fortune rather than deliberate design that a work of history produces the outcomes you describe. Any historian consciously setting out to portray history for the purposes you mention is likely, I suspect, to produce something forced and unconvincing. But if a writer loves a period or is captured by it and by some of its protagonists, if the writer is aware of his or her biases and tries not to be governed by them, if, rather than resenting layers, paradoxes and comparisons, the writer welcomes them, if the writer is willing to pursue unexpected leads into unmapped spaces, then she or he may produce something of the sort you have in mind. You have questioned, in your earlier work, the widely held belief "in the essentially pacific nature of the Indian subcontinent". For all that we adopt the rhetoric of non-violence, you wrote ten years ago in your book Revenge and Reconciliation, it is violence that dominates, "not merely violence in self-defence but violence in revenge, or for power, or for a thrill, or in the name of justice." Is violence somehow natural to the human condition, and non-violence in history merely an interlude of great self-discipline and rational reflection? Violence has always made news. And the impulse towards violence is not foreign to our human nature. Yet violence does not describe the essence or the totality of the human condition. Peace is less sensational, yet after all 1857 in India and the Civil War in America were followed by long decades of relative peace. Whether non-violence is an interruption in history or the norm is perhaps hard – I should say impossible – to say, yet we in India ought to admit that ever since (and possibly even before) the Mahabharata time, revenge has been a powerful pull for many of India’s inhabitants. The notion of “My group is superior and has the right to dominate” has also commanded passionate adherents. Having said his, I cannot but again recall that after 1857 violence was rejected in India by large masses, and also that following 1915 non-violence was consciously accepted by large masses for over thirty years. On the other hand, the Partition-related 1947 killings, the 1984 Delhi killings, the 1992-93 Mumbai violence, and the 2002 cruelties in Gujarat form part of another – sadder, grimmer and equally true – story. The present day again tempts many in India, Pakistan and elsewhere in South Asia towards the “final” solution of war or killing. The blaze and sound of terrorism make it easy for some to be cast as Ravanas or Kauravas, meriting instant and non-judicial deaths, and the list of those who can be cast as such – who should be “done away with” – seems to expand by the day. The Lincolns, Tolstoys and Gandhis of history are needed afresh. You are unusual, among historians, for having actually stepped into the cauldron of politics. In 1989 you contested the Lok Sabha elections in Amethi against Rajiv Gandhi. Tell us a little about what you took away from this experience, and what Indian democracy seen up close is like. What are the main faults of Indian democracy today, and its strengths? My life in politics – the end-1989 Amethi election and a Rajya Sabha spell as a Janata Dal MP – lasted less than three years. I found that politicians were not another breed, they did not descend down a special shaft, they were rather like the rest of us and often possessed an attractive side. Yet I did not find that as an MP I could make a real difference. I think I had too thin a skin to promote myself, which one needs to do to reach a place from where you can perhaps make a solid difference.I also missed an adviser or two who could have helped me maximize my strengths and minimize my weaknesses in order to advance larger, non-personal objectives. India’s democracy has allowed ministers only limited scope to address real issues: survival in office takes a great amount of energy and time. Then there is the difference between passing a law and getting it implemented. We have been very poor at the latter, which requires enlisting the participation of citizens. Usually our law-makers are out of touch with the realities of getting things done on the ground, though some are pretty good at using money – obtained God knows where – to get results.Sadly, gold and the gun are often seen as more likely to secure change than the enforcement of law. But much that is helpful also occurs. Our governments are replaced through elections. Although great numbers are left out, many of the weak and the disabled do get assistance. Although danda power and gun-power intimidate many neighbourhoods, elsewhere it is possible to criticize persons in office. Our media are not always wise or calm, they do not always show good taste or judgment, but thank God they are not chained. Pluralism receives lip service at least, and sometimes a good deal more than that. Three of your books are biographies of Indian politicians who were also writers and intellectuals. Who, to you, are the most interesting examples of this tradition in Indian politics today if any? My subjects belonged to another age. As for recent times, Narasimha Rao is dead and Atal Behari Vajpayee is no longer active either as a politician or as a poet or intellectual. V.P. Singh also painted and wrote verses but he too is gone. Not that it was always possible to agree with even these three. Right now there must be some fine and sensitive intellects in Indian politics but clearly they are too prudent to write candidly or spontaneously. Please name two classic books on Indian history and two current ones that the lay reader might read for both pleasure and instruction. My research and teaching having narrowed my reading, I fear my answers may not help much. But I must pick the ever-new Mahabharata, even if it is not history in a conventional sense, and Jawaharlal Nehru’s The Discovery of India. William Dalrymple’s evocation in The Last Mughal of the streets, birds, crafts and trades of the Delhi of 1857 was wonderful, and I think Ramachandra Guha’s India After Gandhi is a splendid read. A review of Rajmohan Gandhi's Gandhi: The Man, His People and The Empire is here. And here are some other Middle Stage interviews with writers: Ramachandra Guha, Pico Iyer, Ramin Jahanbegloo, Altaf Tyrewala, Samrat Upadhyay, and Christopher Kremmer. It is in these two avatars – constitutional expert, and as a personification of Dalit self-assertion – that Ambedkar is remembered today. 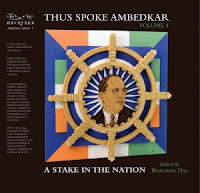 And as a new edition of some of his best speeches, Thus Spoke Ambedkar, shows, his real achievement was not just in articulating the bitterness and sorrow of people who laboured under racial discrimination, but in formulating a solution for the problem that was not impassioned and emotive but strategic and constitutional, using the tools of democracy and the fledgling subjects of democracy to fulfil the promise of democracy. The oppression of Dalits (or “the Depressed Classes”, as they were called for much of his watch) by higher-caste Hindus was not so much a social problem, Ambedkar thought, as it was a political problem, to be resolved by careful political organisation and political representation. Mahatma Gandhi, Ambedkar’s compatriot and frequent antagonist on issues concerning the Dalits and Hindu society, ambitiously held, on the subject of British dominion, that mere independence from foreign rule was merely a beginning, and that real swaraj would only ensure when each person realised his or her potential, and on the subject of caste oppression, that Dalits were inescapably a part of Hindu society, and that the caste order was not in itself perverse, but rather decadent. Ambedkar, meanwhile, was making the more modest but nevertheless invaluable point that political democracy was a farce when not accompanied by social and economic democracy, and hence that independent India would offer "a life of contradictions" on a much more elemental level than that imagined by Gandhi. The caste order and caste consciousness had to be eradicated, not reformed. Yet, as much as he thought that Dalits had many grievances that found no ear in either the corridors of power or society at large, this highly qualified lawyer and thoughtful democrat was a staunch advocate of “the diffusion of constitutional morality” through Indian society as the solution for pervasive Indian ills. As these speeches show, Ambedkar hoped fervently that Indian democracy would provide the space and the legal means for Dalits to grow in self-respect and equality, and yet was frequently disenchanted by what was actually granted. 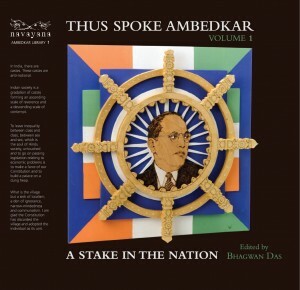 The speeches collected in Thus Spoke Ambedkar, Vol. 1 by one of his students and followers, Bhagwan Das (author of the memoir In Pursuit of Ambedkar), cover a span of about twenty-five years in his career from 1930 onwards. They give us a sense not of the avuncular Ambedkar we know (or think we know), but of a more fiery and often inconsistent Ambedkar on the move, trying to work out the best position not just on the issue of caste struggle but also labour, capitalism, foreign rule, domestic political formations, and constitutional architecture. The sites and occasions where they were delivered are very diverse, from a meeting of the railwaymen belonging to the Depressed Classes (“I am glad,” says Ambedkar, “that we have met today more as workers than as untouchables”) to the chambers of Parliament. Their emphases, inevitably, are not consistent: Ambedkar veered towards Marxism in his youth and made many skeptical pronouncements about the efficacy of parliamentary democracy, but gradually reversed these leanings as he grew older and finally came to be the very face of constitutional democracy. Many of the thoughts expressed here carry an uncanny relevance today, such as Ambedkar's criticism of the motivations underlying the basic gesture of electoral politics, the vote. “The majority in India is a communal majority and not a political majority,” observes Ambedkar. “In India the majority is born; it is not made. A political majority is not a fixed or a permanent majority. It is a majority which is always made, unmade, and remade. A communal majority is a permanent majority fixed in its attitude.” And if the majority organises itself in this unshakable way in a democracy, Ambedkar concludes, the minority has no option but to itself organise itself on similar lines, which is what explains his repeated emphasis on separate representation for Dalits. Of course, as Ambedkar himself understood, this was at best only a partial solution to the problem. The challenge of how to integrate into the mainstream by asserting, as a first step, one’s separateness continues to vex the politics of reservation today. As Sunil Khilnani argues in a recent piece, "From Representative Democracy", that considers the addition of political reservations for women to an electoral system that already includes reservations for scheduled castes and scheduled tribes: "...[C]onceding the principle of quotas and reservations in the electoral process, in whatever form, serves ultimately to entrench identities, and fragments efforts to build a community of individual citizens. While the principle serves expedient purposes, long-term it undermines both unity and individuality." Khjlnani wonders if "we too are becoming a little intellectually lazy about our version of democracy", but that is not a criticism that can be made of Ambedkar, who was always conscious of how dissent and grievance had to be fired by discipline ("The urge for self-realisation in the downtrodden classes," he says in a speech made to the Constituent Assembly in 1949, "must not be allowed to devolve into a class struggle or class war.") In the absence of a major biography, one looks forward to the publication of the three remaining volumes of speeches in this series, as also the re-issue of Ambedkar’s works The Annihilation of Caste and Pakistan or Partition of India by the same publisher, Navayana, for a fuller sense of the vision of this most constructive of Indian skeptics. A catalogue of Navayana's books on caste issues is here. Thus Spoke Ambedkar, while a reissue of the first of four volumes of Ambedkar's speeches compiled by Bhagwan Das, is freshly and cogently annotated by the publisher, S. Anand, who is sometimes even more acerbic than Ambedkar is, particularly on the subject of Gandhi. Anand has an essay, "From Equalisation To Annihilation – And Beyond", in a special issue of Himal Southasian this month on the theme of "The Future of Caste". And two old posts: "The art of oratory, and the great speeches of modern India", on two anthologies of Indian oratory; and "On Vinod George Joseph's Hitchhiker", a powerful fictional exploration of a youth floating through both rural and urban life always tagged by his caste. My apologies for not being able to put anything up on The Middle Stage for a few weeks now. I've been kept occupied by a long piece of reportage about my experiences at the Bharatiya Janata Party (BJP) national convention in Indore in February. 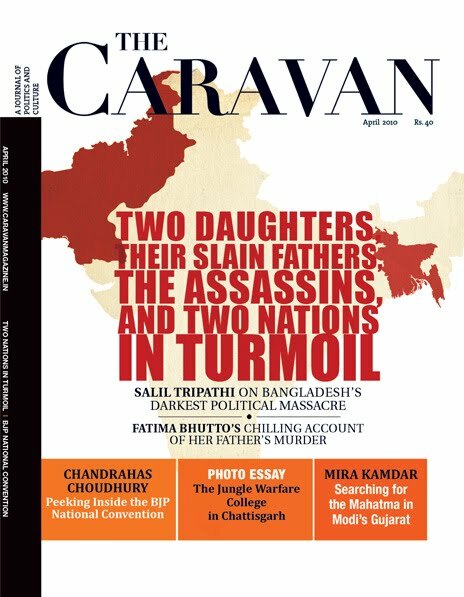 The essay is called "Under The BJP's Big Tent", and it appears this month in the new issue of The Caravan, a monthly magazine of long-form narrative journalism focussed on Indian and South Asian politics, culture, and books. And here is a se lection of essays from the four issues of The Caravan since its relaunch in January this year: "One Hundred and Twenty Five Years of the Congress Party" by Ramachandra Guha; "A Missile In The Living Room" by Amitava Kumar; "The Road Back From Ayodhya" by Basharat Peer; "Bangladesh's Quest For Closure" by Salil Tripathi; "Searching For The Mahatma In Modi's Gujarat" by Mira Kamdar; "A Song Unto Itself", an essay on the Indian national anthem by Ananya Vajpeyi; "Book History in India" by Pradeep Sebastian (see also his essay on the new Tamil cinema); "The Sympathetic Ironist", an essay by the poet Anjum Hasan on the poetry of Eunice D'Souza; and "India and Enid Blyton" by Amy Rosenberg. 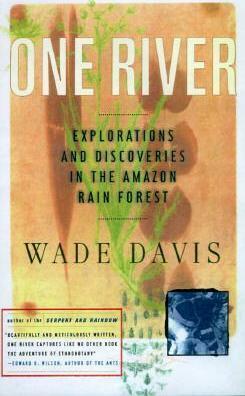 The magazine also publishes a long book excerpt every month, as also a photo-essay and fiction and poetry. An archive of articles from all four issues of 2010 is here.